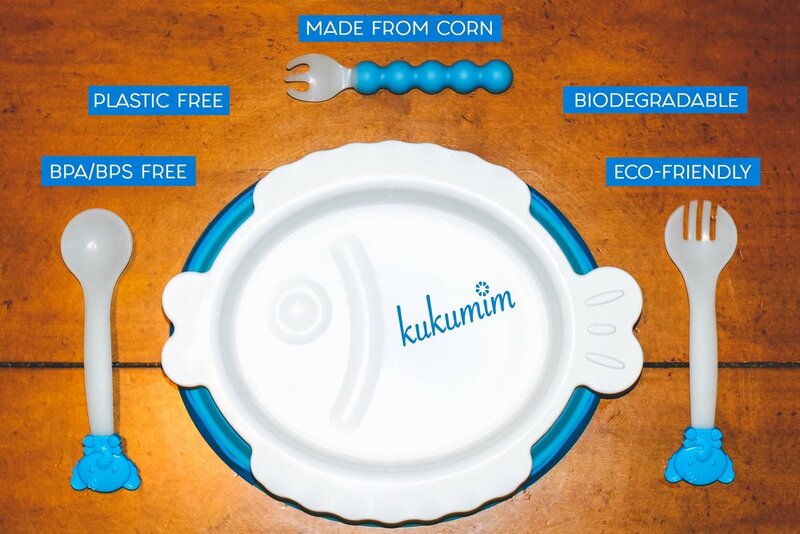 Kukumim-Tableware For Kids Made From Corn?! — OK, I'll Give You My Opinion! 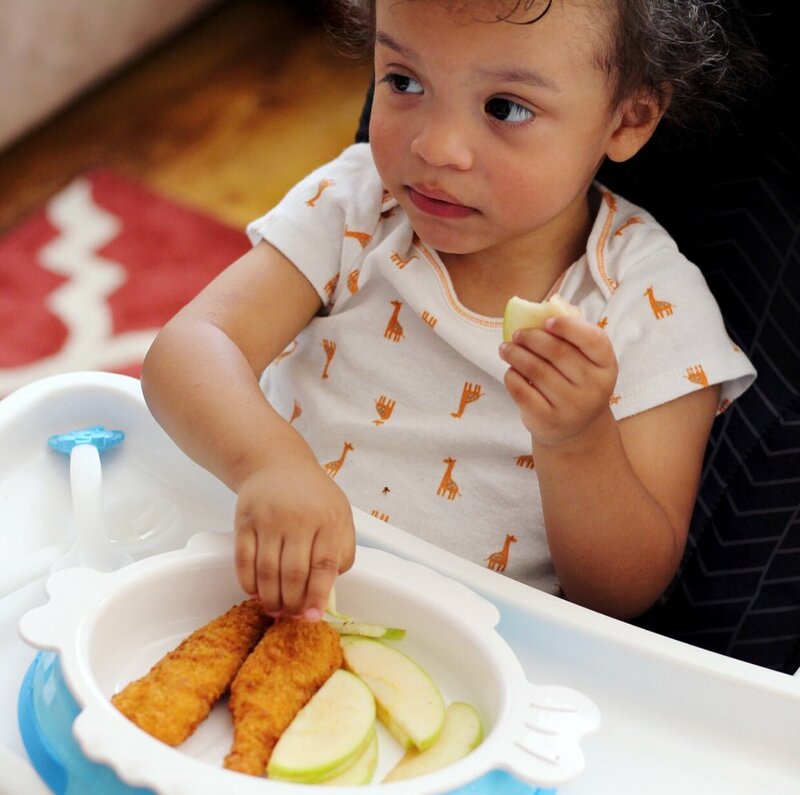 What’s special about Kukumim products compared to other tableware for babies and kids? I did some research, and (PLA) polylactic acid or polylactide is a biodegradable and bioactive thermoplastic aliphatic polyester derived from renewable resources, such as corn starch, cassava roots, chips or starch, or sugarcane. This plastic substitute is becoming more popular as an alternative to the traditional petroleum based plastics. The tableware resembles traditional plastic, but feels a lot more durable than the other plastic dishes I have. It has a little weight to it, and anti-slippage material on the bottom of bowl to prevent slipping. 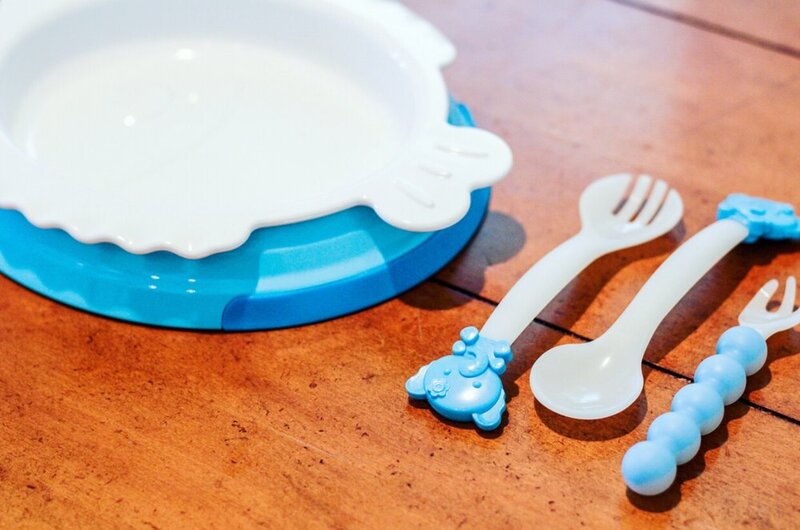 My kids love the fun design, and easy to grip utensils. And the fact that its made out of biodegradable, all natural corn resin PLA, gives it mine and the environment's stamp of approval! I hope this information was helpful! PLA products were definitely news to me, and I'm happy to learn we have options when it comes to what we expose our kids to. Kukumim is currently available for purchase on Amazon (https://amzn.to/2PleQAa) and on their website https://www.kukumim.com . You can also head to my Instagram page now (August 17th- August 19th, 2018) to enter my GIVEAWAY for a FREE Tropical Series Dish Set!! **This blog contains sponsored content. Every post is my own honest opinion regardless of compensation.